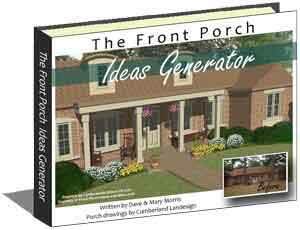 Southern home designs are typically characterized by large wrap around front porches. 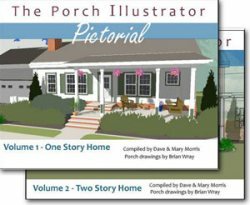 Often times, the home will even have a large porch on each floor. 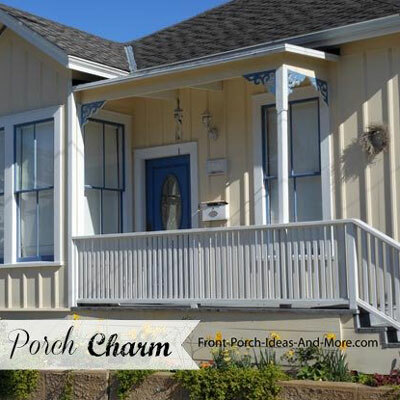 The large porch serves to capture the shade to help cool the home and also becomes a favorite spot for entertaining and relaxing. 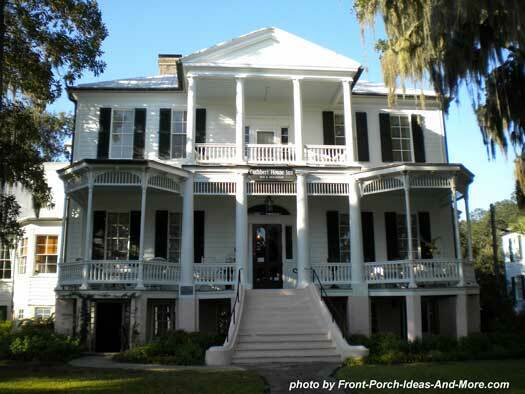 To compensate for the southern climate, southern homes are large with tall ceilings with pitched or gabled roofs. 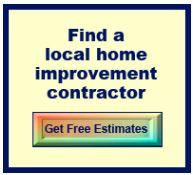 Dormers are common. 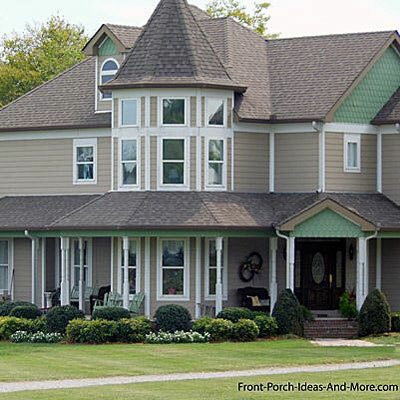 The southern style house has an outward appearance that has soft colors and is beautifully crafted as you would a fine piece of furniture. 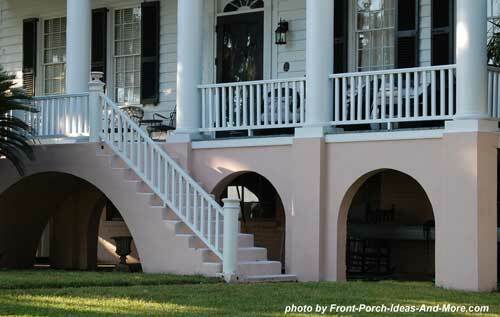 Southern colonial homes, like the ones you see in historical movies, have large southern porches supported by colonnades (or large columns) in a row. 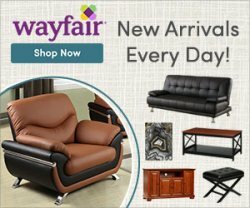 Do you know why haint blue? 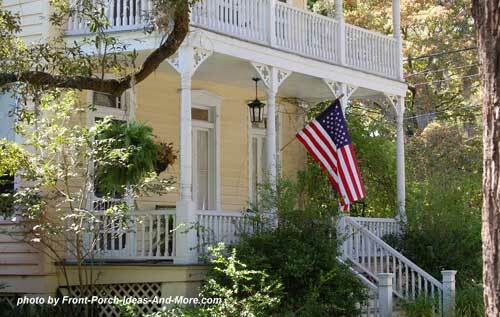 The southern cottage is also a favorite and can be large or small. 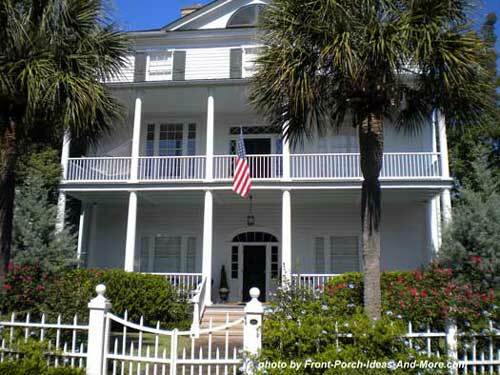 Characteristics of southern cottages have ornamental brackets and gable trim, gardens, and flower boxes. 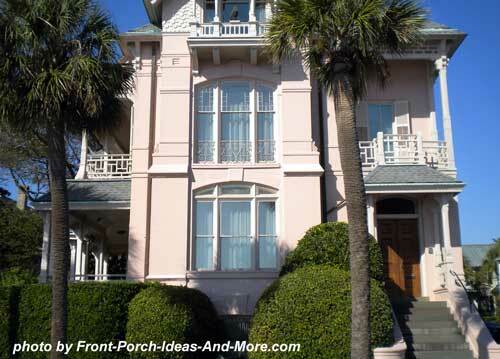 Southern homes are usually two stories with shuttered windows. The pitched roofs create a wide, shady area. 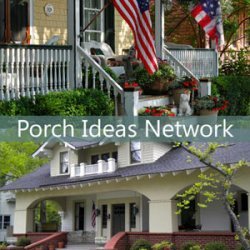 Which porch would you enjoy most - top or bottom? 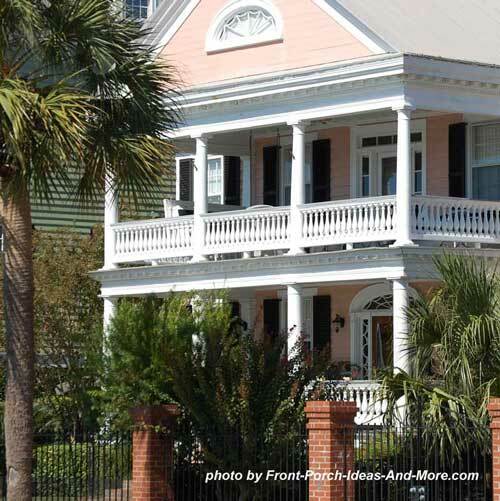 Here are a few general considerations you should include in your own southern home design. 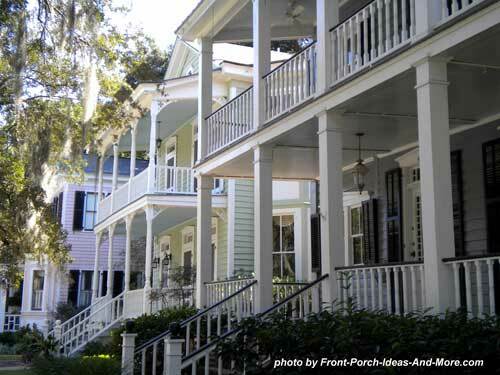 Front Porches: Wide and preferably wrap-around. 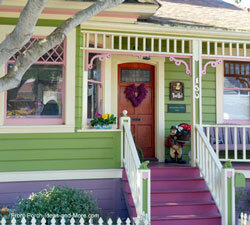 Southern cottages have gingerbread between columns but not as elaborate or ornate like Victorian porches. 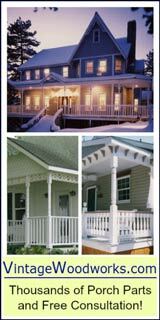 If you are considering adding a side porch be sure to see our side porch photo gallery. 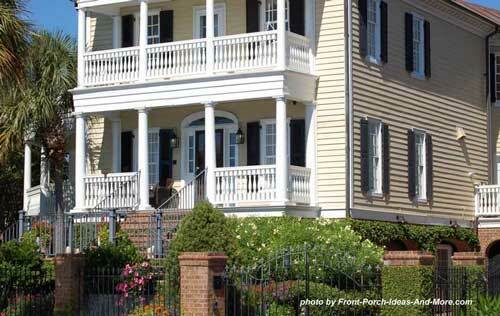 Railings: Porch Railing styles vary but most are fairly traditional in nature rather than ornate. 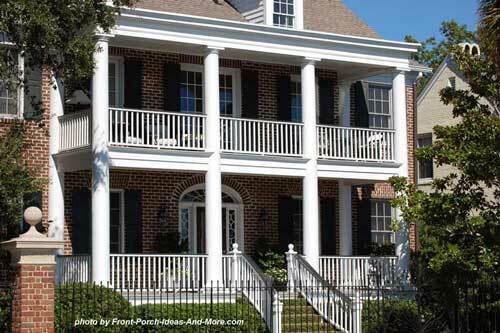 Columns: Depending on your whether you want a southern cottage look or traditional southern home design, columns are usually large and tapered. 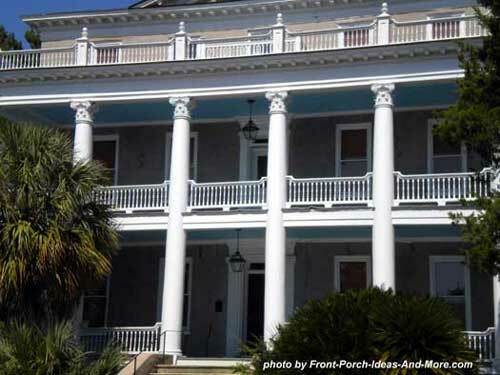 Most have ornate capitals (moldings at the top of the columns). 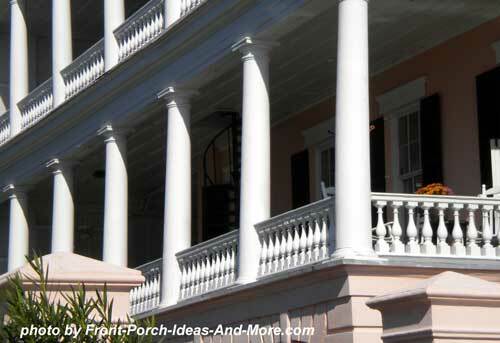 Balconies: Usually a mainstay of southern homes. 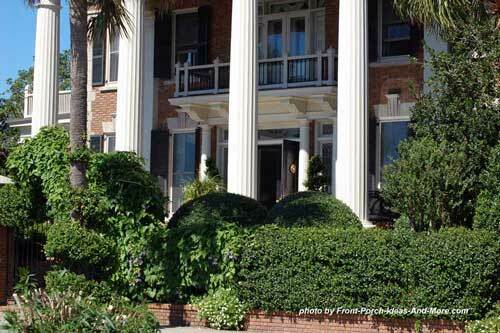 Palladian Windows: palladia windows are windows with a large window that is divided into three parts. 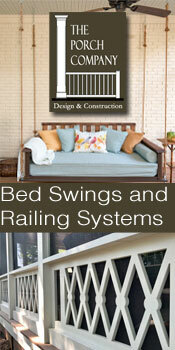 The center section is larger than the two side sections and is usually arched. 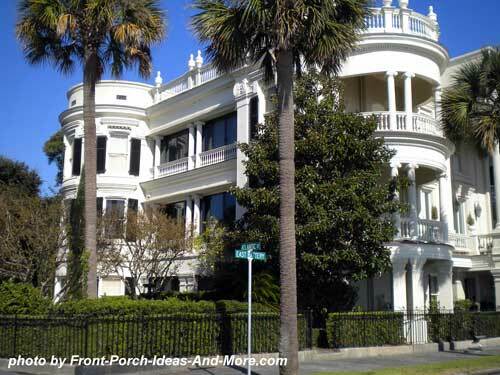 Elaborate Friezes: A frieze is a horizontal band that runs above doorways and windows. 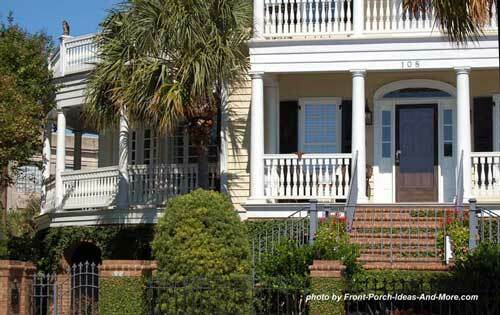 Pediments: triangular sections above doorways. 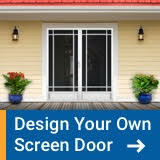 Gas Lighting: Integrate gas lighting along the drives and walk ways.